Dancing Coyote Beach is located in Inverness, CA, on a private beach alongside Tomales Bay. Our four cottages offer such a peaceful sanctuary, you won't believe you are just over an hour from San Francisco. 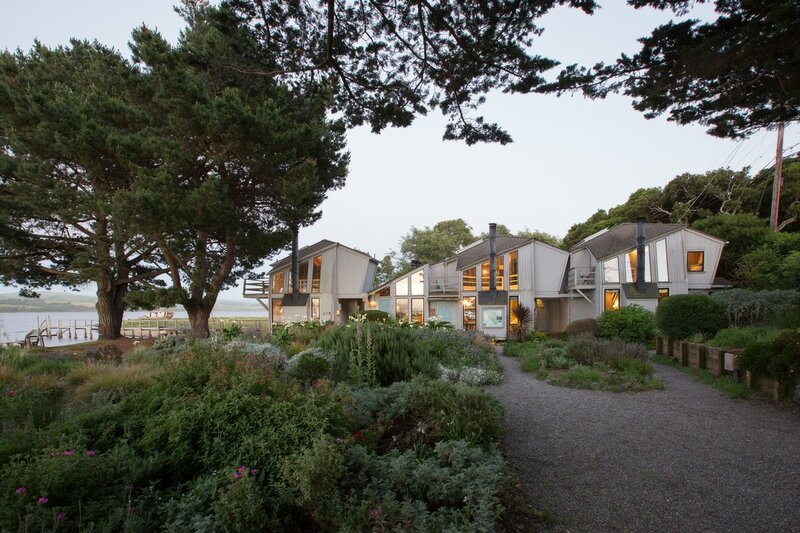 Our cottages are located in the midst of the Point Reyes National Seashore, making it an ideal home base for kayaking, hiking, bicycling, bird-watching, whale-watching, beach combing, great local dining and whatever adventures come your way. Another popular activity at Dancing Coyote Beach is doing nothing at all... just sitting still and enjoying the view. Enjoy a quiet romantic meal by the fire. Breakfast on your private deck in the morning sun. Stroll along the private sandy beach. Wander into the sleepy town of Inverness. Relax on the deck surrounded by our gardens and the ever-changing seashore. Gaze up at the endless stars.